Originally posted on the City of Philadelphia’s blog in recognition of Library Card Sign-Up Month. If you had to guess, how many questions do you think librarians at the Free Library of Philadelphia answer every year? It’s probably a lot, sure, but if you’re thinking thousands, think bigger. Hundreds of thousands? Nope. Even bigger. The answer: 3.4 million reference questions last year alone! Every year, readers and library lovers nationwide observe September as Library Card Sign-Up Month. In 2016, over 5,900 people joined the Free Library of Philadelphia during this festive month. If you’re not a cardholder, you can sign up online right now for free, and the library will mail your card to your house at no cost to you. Here are a few other curious facts about our beloved library system! Last year, the Free Library of Philadelphia saw over 5.1 million visits at all locations. There are dozens of neighborhood locations across Philadelphia. 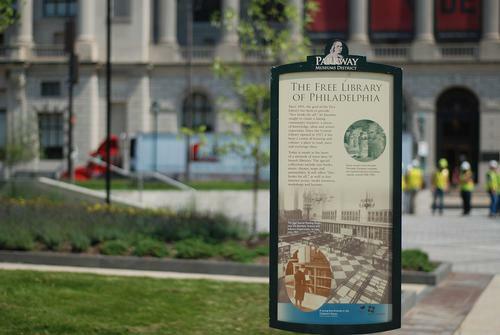 Including the Free Library’s flagship at Parkway Central, there are 49 neighborhood libraries, three regional libraries, the Rosenbach, Community Hot Spots, the Regional Operations Center, and the Library for the Blind and Physically Handicapped—plus a hub at Philadelphia International Airport. Find your neighborhood library! Over 5 million virtual visitors used the Free Library’s resources remotely. Over 3.4 million digital-access sessions helped bridge the digital divide. Last year, there were over 3.4 million sessions at Free Library locations, where people used ebooks, wireless internet access, public computers, and other electronic resources. Nearly every Philadelphian lives within two miles of a Free Library location, which helps make the Library the largest provider of free internet access in, and around, Philadelphia. Over 112,877 kids participated in LEAP afterschool programs last year. 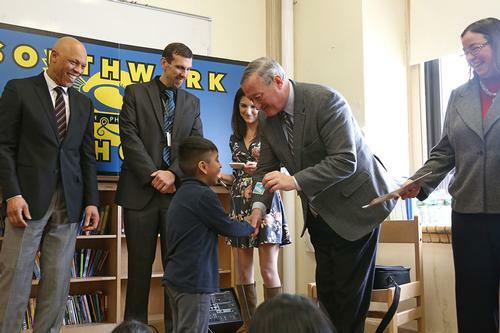 LEAP—Literacy Enrichment After-School Program—provides free homework assistance, computer literacy, and library skills for Philly students from kindergarten through 12th grade. Operating after school Monday through Thursday from September to June at all neighborhood libraries and Parkway Central, LEAP also operates in the three regional libraries Tuesday through Friday. Want more information or to get involved? Contact your neighborhood library or call Youth Services and Programs at 215-686-5372. Over 635,000 library cardholders can access 6.5 million materials in circulation. Millions of materials constitute the library’s collection, including traditional paper books as well as more than 300,000 audio materials, DVDs, journals, magazines, and newspaper titles! There are also "non-traditional" items cardholders may borrow at some libraries, including ties for job interviews at the Paschalville Library and musical instruments at the Parkway Central Library Music Department. Every year, Philadephiansparticipate in over 26,000 public programs at the Library. From container gardening workshops to healthy cooking classes to job readiness seminars, the Free Library of Philadelphia ensures that Philadelphians in every neighborhood have access to programs that increases their knowledge, social connection, and overall well-being. Ready to join the Free Library of Philadelphia for #LibraryCardSignup Month? It doesn’t cost anything, and if you sign up online, the library will mail your card to you for free! 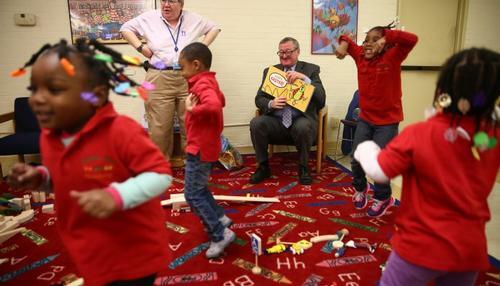 Mayor Kenney during a storytime event at one of our local neighborhood libraries. I have a LibbyOverdrive account through my local Saratoga library. I want to get audio books from your library. My Libby account says it is possible. How do I go about that ? I need a library card for my school and research.